The property is located on the northern side of the island of Ciovo, in a quiet part of Mastrinka, only a few minutes’ walk to the sea and the beach. 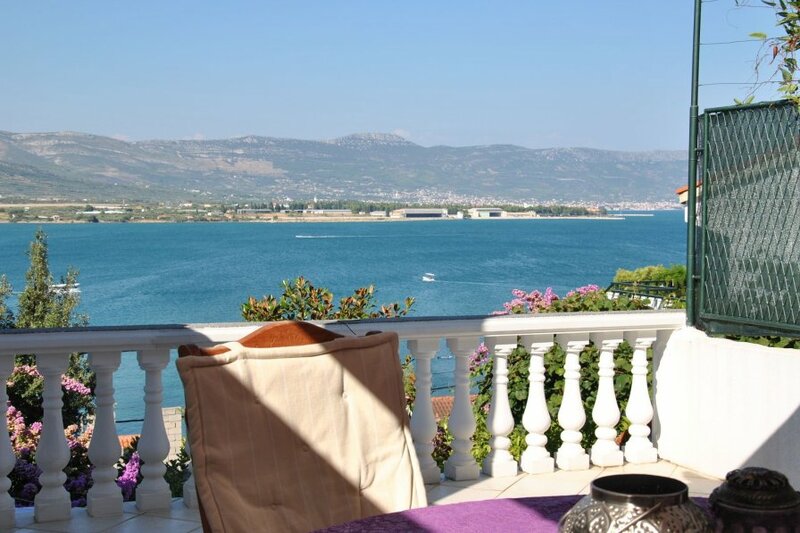 However, the accommodation is about 5 km from the picturesque and vivid town of Trogir. The holiday home is spread over three levels. On the ground floor is a self-contained studio with its own patio. On the first floor there are two bedrooms and one terrace, and on the second floor are the kitchen, bathroom, living room and large terrace with barbecue, ideal for outdoor dining and chilling out. The next beach is just a two-minute walk away from the holiday home, but around the island there are plenty of other places to swim, small, hidden beaches or bigger beaches with cafes, restaurants and sports activities, all easy to reach within short driving distance. In addition, since the bridge is connected by bridge to Trogir, and further to the mainland, the location is perfect for tours of the most beautiful natural and historical sights of the region.